The weather-resistant and high-performance Infinity Marine amplifiers deliver impressive power from a compact chassis designed to withstand outdoor environments. Available with 4-channel and 5-channel outputs. 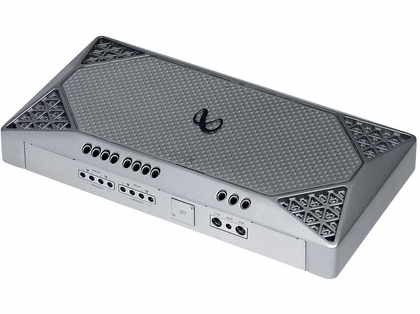 Infinity Marine amplifiers incorporate our latest amplifier topology that includes selectable all-, high-, or low-pass crossovers with variable electronic frequency adjustment for precision system tuning. 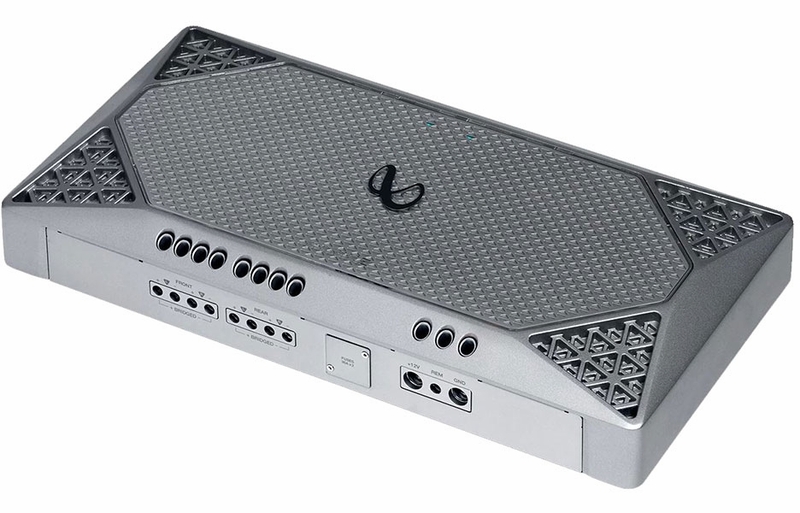 Engineered for harsh marine conditions, with power and performance to meet the needs of any outdoor audio system, Infinity Marine amplifiers are the perfect match for all of your Infinity marine products.